Generate income from credit repair services and grow a business that helps your community! Learn how to become a credit repair millionaire from industry leaders through a built-in membership community and a simple business management platform. Earn more in less time by scaling your business using software. Grow through lead nurturing, a customer portal, and affiliate referral management. Facebook style real-time notifications for new leads, messages and reminders. Organize and automate your credit repair dispute letter process. Export your contacts to MailChimp®, Constant Contact®, ActiveCampaign®, GetDrip and other popular services to send professional marketing emails and newsletters. Get the best training with our free courses and learning materials so you don’t have to waste time. Learn on your own time, from anywhere. Schedule free 1-on-1 software training with our experts by phone as often as you like. 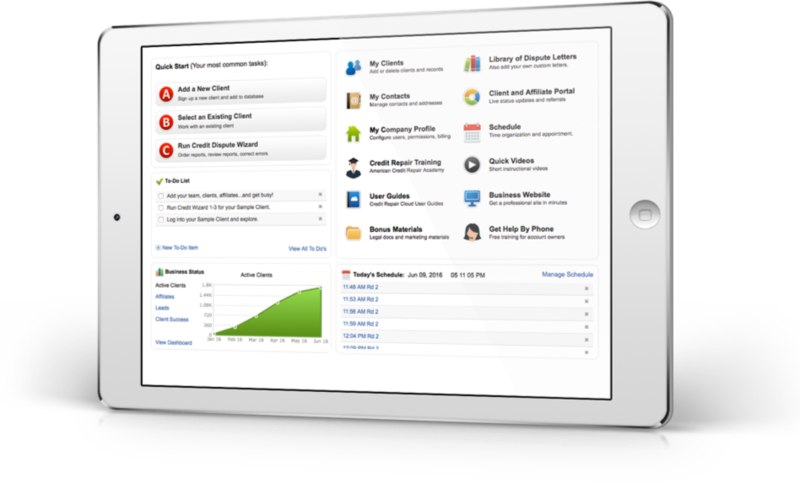 Credit Repair Cloud is super easy to learn. And to make things even easier, our dedicated account managers are always there for you. If you’re successful, we’re successful, so we make setting up and running your business trouble-free every step of the way. It’s that simple. Get a database with over 100 customizable dispute letter templates, client agreements and other legal documents written by attorneys and experts. Customize them or add your own (unlimited). Available to all paid users. 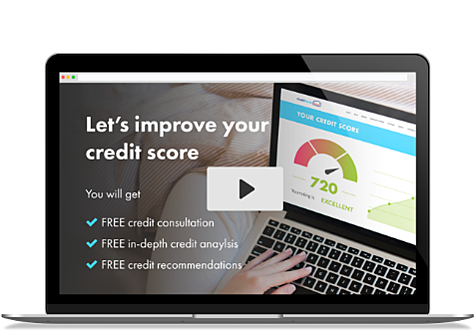 Paid Credit Repair Cloud users can get an entire website, professionally written and ready for your Credit Repair Business and 2 free months of web hosting. Customize it yourself by easy point and click. No design experience necessary. As a paid Credit Repair Cloud user, you will get a discount code for 2 free months of web hosting. Sign up for hosting and choose a domain name (or use a domain name you already own). 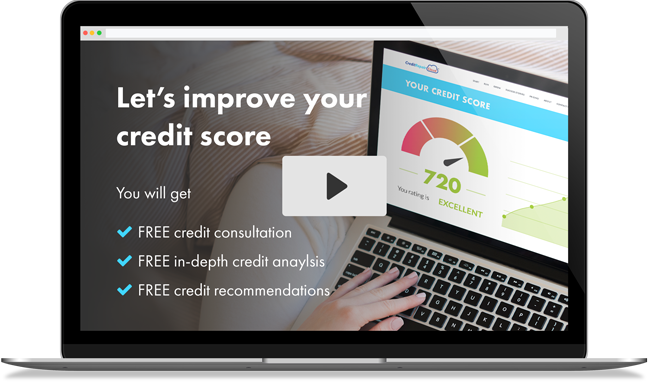 Log in and activate your entire Credit Repair Business Website in less than 5 minutes. A domain name is your only startup cost. Domains are $10/year, but you do not have to buy your domain from us. You can also use a domain at GoDaddy or any other registrar and you do not need to transfer the domain name. There's no contract and you can cancel at any time so get started today! Look great and win over new clients with marketing artwork templates for flyers, brochures and business cards (in English and Spanish) and even get professional videos for your website.